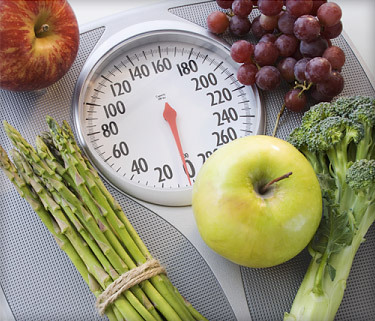 5 Organic Food That Will Help You Loose Weight. The foods that are taken determine the speed at which one loses weight. If you are planning to lose weight, it is important to consider the amount of calories that you take. The calories that you take should be fewer than the ones you burn. Organic foods are good in helping one to lose weight because they make one feel fuller for longer and curb the cravings. You can equally use orlistat because it is the best option for weight loss capsule prescribed by doctors. Beans are organic foods that top the list when it comes to losing weight. Beans are filling, inexpensive, versatile and they are a great source of proteins. Beans are digested slowly and they are also high in fiber. This means that when one has taken beans, the abdomen is emptied slowly and therefore one feels full for longer. This reduces the urge to take food and one is able to lose weight. This can be used as a starter before one takes meals. Take a cup of soup before starting a meal and you are likely to end up taking less than you had planned. The quality of the soup does not matter because it can be pureed or chunky but it should be broth based. It is also important to ensure that the soup contains 100-150 calories in each serving. This enables one to skip the dollops of butter and cream. When the vegetables are pureed, one tends to take more as compared to taking raw or cooked vegetables. Taking pureed vegetables will also help to reduce the intake of foods that contain calories. An experiment was done by researchers from Penn state who added zucchini and pureed cauli flower to cheese and Mac and the conclusion was that people seemed to enjoy the dish as much as before. However, the difference is that people were eating fewer calories by 200-350 and the healthy vegetables reduced the caloric bulk of the dish. A cup full of black beans has been shown to contain 15 grams of proteins and it does not contain saturated fats that are found in other protein sources like red meat. Spiced black bean hummus with marinated peaches is a recipe that should be tried out. Pears: Fruits form an important group of foods help one to easily lose weight. A study that was done by a University of Rio de Janeiro encouraged people who want to lose weight to pack their bowls with pears. The study showed that women who ate at least 3 pears a day were shown to consume less/fewer total calories and they also lost more weight as compared to those who didn’t. Pears are rich in fiber and it provides the body with 155 of the daily recommended amount. The best way to take this fruit is by eating before meals as this helps to curb hunger. The peeler can be ditched as most of its beneficial fiber is contained in the skin. Grape fruit: A research that was done in California showed that the people who take a grape fruit before meals are able to lose up to one pound a week. This was true even in cases where the diet remained the same and nothing else was changed. One of the authors of the study, Ken Fujioka, reported that the fruit contains a compound that helps to regulate insulin, a hormone that stores fat. He explained that anything that helps in reducing the level of insulin is important in losing weight. The best way that this fruit can be taken is by peeling, cutting them into segments and this can be added to spinach salad. It can also be taken with sliced/peeled jicama or shrimp. Apples: One should skip the apple juice and instead go for the whole crunchy fruit. The whole fruit helps to blunt appetite in ways that sauces and fruits juices can’t. Raw fruits are considered better than juices because they have more fiber and this makes one become fuller at a faster rate. As with the other fruits, it should be taken before food. Chewing of the fruit sends messages to the brain that one has taken something substantial and this reduces appetite. Organic foods are ideal when one is trying to lose weight. The organic foods that can be taken include beans, soup, pureed vegetables, black beans and fruits like apples, pears and grape fruits. I particularly love the idea of eating fruits. Fruits consist of various vitamins and mineral that are helpful to the body. I agree with the author, the food you eat has a long way in determining whether you will loose weight or not. You cant keep eating junks and think you will loose weight. Nice and Informative Blog. Thanks for sharing..